New Arrivals for 2019 .. !! 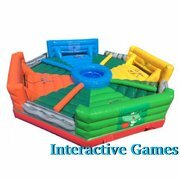 Bounce Houses, Slides, Combos, Water Slides, Tents, Tables & Chairs rentals! We are an Elgin, IL. based company dedicated to provide the fun to our customers parties. 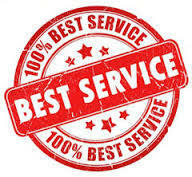 We always offer the best service possible to build a long lasting relationship with our customers. 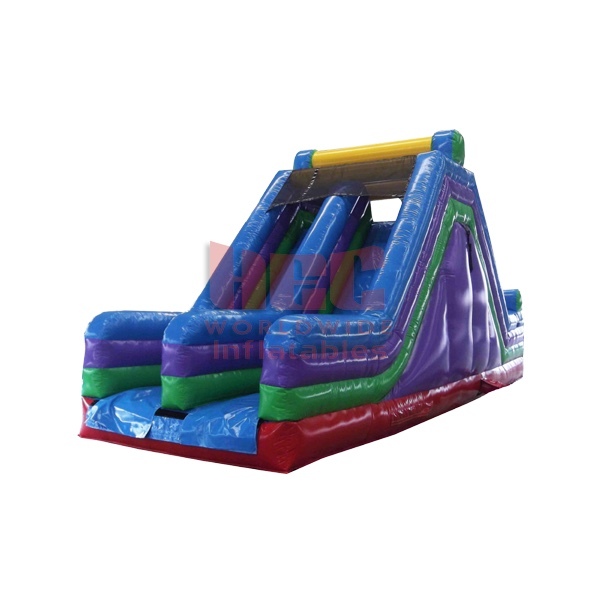 We offer the fun and best quality Inflatables to please the kids, but also offer best prices to please the parents. Let us help with your back yard parties, picnics, indoor events, block parties or whatever type of celebration you're thinking of, we sure have the right Moonwalk for your event. MGS Party Rentals is a fully insured company and our Bounce Houses are always clean and safe to ensure your party will always be a party to be remembered. Feel free to contact us via phone, email, text message or through our Facebook page. MGS Party Rentals is ready to get your party started with bounce house rentals that are fun and affordable. Our Combos are always clean and ready to go when they are ordered. We have a Rainbow Combo that is great for boys and girls and their smile says it all. The 5n1 Enclosed combo is a blast for all ages, our Sports combo is the right unit for the sports lovers. 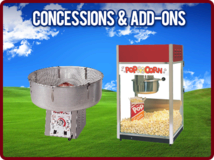 Combos rentals are great for birthdays, picnics, church and school events, etc. Check out our NEW ARRIVALS for 2019!! Party Tent Rentals from MGS Party Rentals will be a great addition at your next event. These Party Tents look lovely at your event, but they also serve lots of purposes. We have a variety of sizes that protect your guests from sun, light wind, snow, and light rain. Our 20 X 40 high peak Tent looks beautiful and gives you a large space for entertaining. This gives spaces to serve and accommodate 80 people for a sit-down dinner or up to 120 standing room. We also offer the 20 X 20 Tent that looks just as beautiful but is better for a smaller party. If you're a planning an event, no matter how big or small, people will need places to sit and possibly eat so take a look at our Table & Chairs. MGS Party Rentals is ready to get your party started with bounce house rentals that are fun and affordable. Our licensed bounce houses are always clean and ready to go when they are ordered. We have a castle theme bounce house that is great for all your little princesses and princes. This primary colored bouncer is a blast for all ages. We also love renting our cartoon themed bounce houses and the kids smile says it all. Themed bounce houses are a lot of fun and help tie your party theme all together. Bounce house rentals are great for birthdays, picnics, church and school events, etc. We love setting up under the beautiful Elgin sun but we also offer Tent Rentals to keep everyone cool and safe. Tent rentals can also be used in light rain and wind. Check out our great variety. 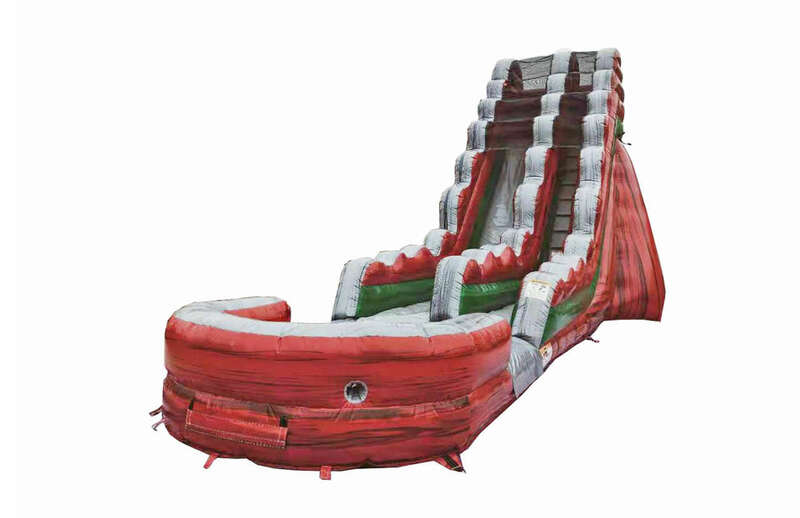 Get ready for a wet time with Water Slides rentals from MGS Party Rentals Inc in Elgin, IL. Summer parties are always fun but the weather can sometimes make being outside unbearable and that's where we step in. Who doesn't love Water Slides ? When the sun is heating up, there is no better way to cool down quick than to add water. We have different sizes and models to choose from. Check out our NEW ARRIVALS for 2019!! If you want to get the whole party up on their feet and joining the party, checkout our interactive game rentals . You won't be disappointed with our interactive games like the Wrecking ball, Hippo Chow Down or the Giant soccer darts. People get a kick out of the competitiveness of our party games. Get your party game rentals here. Check out our NEW ARRIVALS for 2019!! 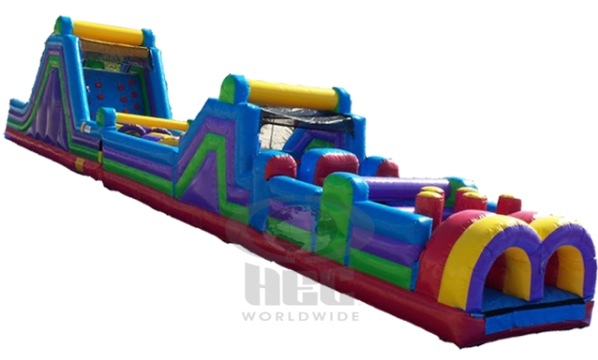 MGS Party Rentals Inc has GIANT obstacle course rentals that are sure to entertain large groups of people. 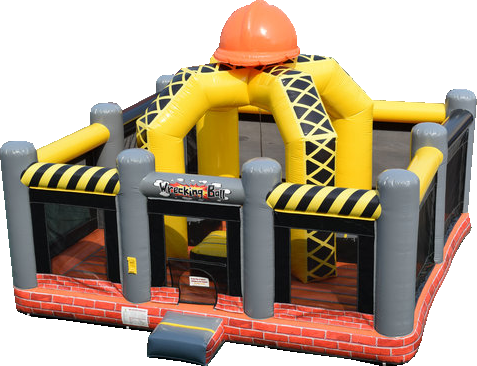 The 48ft Obstacle course is a blast to bounce and play on, and they boast tons of different elements that will keep everyone on their toes! The 40 ft obstacle course has 7 elements featuring jump through openings, pop ups, log jam, squeeze walls, crawl tubes, rock wall, and slide. This is great for church and corporate events. Our 70ft Obstacle Course is even BIGGER! This colorful course has it all; a bounce house, obstacle course, a slide and more. Check out our NEW ARRIVALS for 2019!! 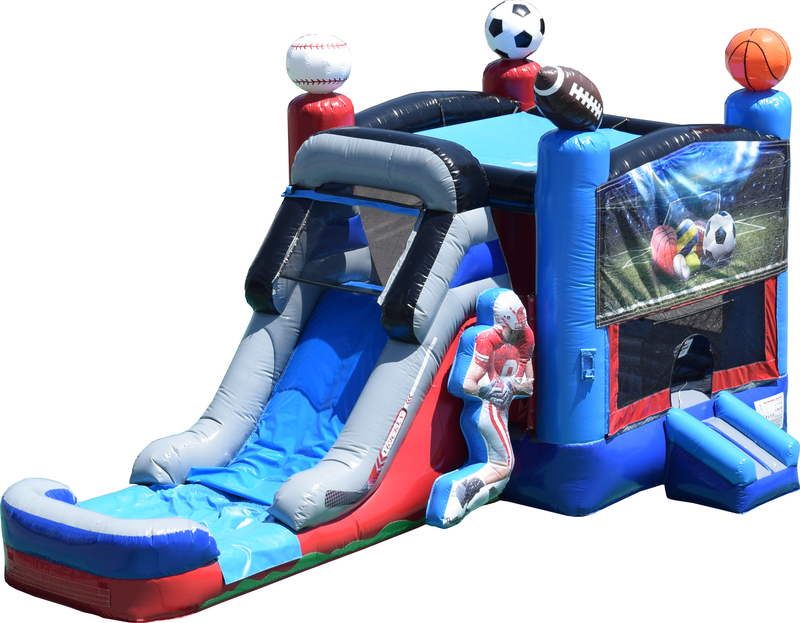 MGS Party Rentals, Inc. is ready to serve Elgin, IL with high quality and affordable Bounce Houses, Combos, Waterslides, Obstacle Course, Interactives, Tents, Tables & Chairs rentals. We strive to serve the community and build long lasting relationships with our customers. 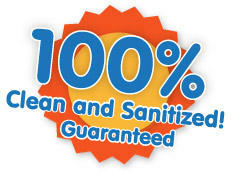 We are a fully insured company and ensure all our equipment is safe and always clean at the time of the delivery. You can expect professional full service delivery and pick up from our courteous staff. Kids love our bounce houses and parents love our prices. Contact us today and let us do the rest.